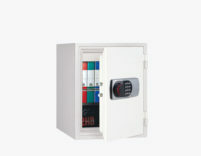 Two-expansion closure with double-bit safety lock. 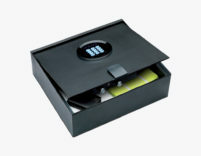 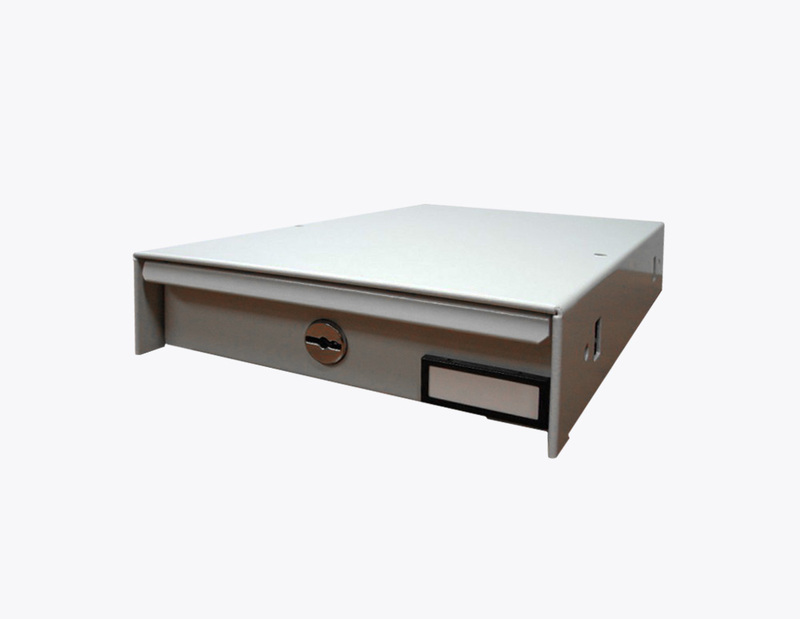 Drawer bottom with black anti-oil aestop rubber mat. 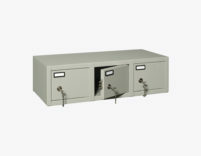 Painted with gray gravel powders (RAL 7032). 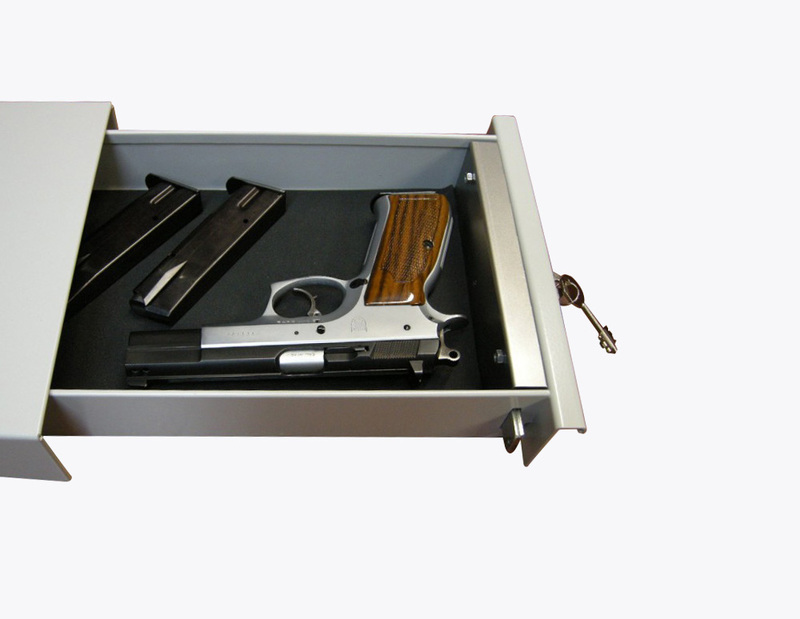 Prepared to be paired with each other. 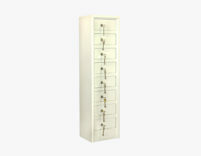 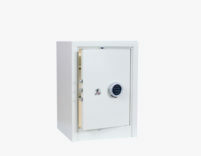 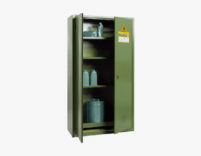 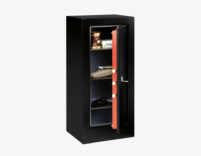 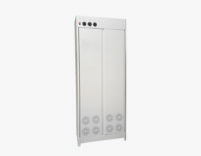 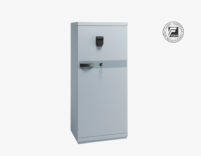 Armored monobloc security cabinet. 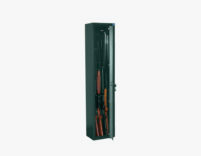 The SAM 192 monobloc armored double door cabinets are built in a single body and are produced following the know-how and the technical and constructive experience gained over the years. 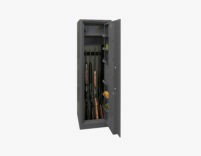 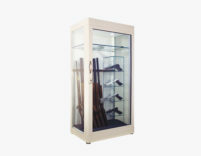 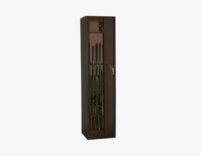 Inside, the cabinet can be set up with: gun rack, fur bar and safe. RAL 7032 peel finish.